Lawsuits are everywhere. What happens when you are found to be at fault in an accident, and a significant judgment is entered against you? A child dives head-first into the shallow end of your swimming pool, becomes paralyzed, and needs in-home medical care for the rest of his or her lifetime. Or, you accidentally rear-end a high-income executive, whose injuries prevent him or her from returning to work. Either of these situations could easily result in judgments or settlements that far exceed the limits of your primary home or auto insurance policies. Without additional coverage, your life savings could be wiped out with the stroke of a judge’s pen. Typical liability insurance coverage is included as part of your home or auto policy to cover an injured person’s medical expenses, rehabilitation or lost wages due to negligence on your part. The liability coverage contained in your policy also cover expenses associated with your legal defense, should you find yourself on the receiving end of a lawsuit. Once all of these expenses are added together, the total may exceed the liability limits on the home or auto insurance policy. Once insurance coverage is exhausted, your personal assets could be seized to satisfy the judgment. However, there is an affordable option that provides you with added liability protection. Umbrella insurance is a type of liability insurance policy that provides coverage above and beyond the standard limits of your primary home, auto or other liability insurance policies. The term “umbrella” refers to the manner in which these insurance policies shield your assets more broadly than the primary insurance coverage, by covering liability claims from all policies “underneath” it, such as your primary home or auto coverage. With an umbrella insurance policy, you can add an addition $1 million to $5 million – or more – in liability coverage to defend you in negligence actions. 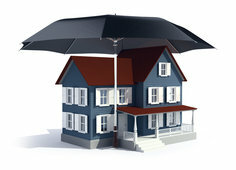 The umbrella coverage kicks in when the liability limits on your primary policies has been exhausted. This additional liability insurance is often relatively inexpensive in comparison to the cost of the primary insurance policies and potential for loss if the unthinkable happens. Generally, umbrella insurance is pure liability coverage over and above your regular policies. It is typically sold in million-dollar increments. These types of policies are also broader than traditional auto or home policies, affording coverage for claims typically excluded by primary insurance policies, such as claims for defamation, false arrest or invasion of privacy. “The sandwich generation” is the term given to adults who are raising children and simultaneously caring for elderly or infirm parents. Your children are one piece of “bread,” your parents are the other piece of “bread,” and you are “sandwiched” into the middle. Caring for parents at the same time as you care for your children, your spouse and your job is exhausting and will stretch every resource you have. And what about caring for yourself? Not surprisingly, most sandwich generation caregivers let self-care fall to the bottom of the priorities list which may impair your ability to care for others. Following are several tips for sandwich generation caregivers. Hold an all-family meeting regarding your parents. Involve your parents, your parents’ siblings, and your own siblings in a detailed conversation about the present and future. If you can, make joint decisions about issues like who can physically care for your parents, who can contribute financially and how much, and who should have legal authority over your parents’ finances and health care decisions if they become unable to make decisions for themselves. Your parents need to share all their financial and health care information with you in order for the family to make informed decisions. Once you have that information, you can make a long-term financial plan. Hold another all-family meeting with your children and your parents. If you are physically or financially taking care of your parents, talk about this honestly with your children. Involve your parents in the conversation as well. Talk – in an age-appropriate way – about the changes that your children will experience, both positive and challenging. Make family plans. There are joys associated with having three generations under one roof. Make the effort to get everyone together for outings and meals. Perhaps each generation can choose an outing once a month. Make a financial plan, and don’t forget yourself. Are your children headed to college? Are you hoping to move your parents into an assisted living facility? How does your retirement fund look? If you are caring for your parents, your financial plan will almost certainly have to be revised. Don’t leave yourself and your spouse out of the equation. Make sure to set aside some funds for your own retirement while saving for college and elder health care. Revise your estate plan documents as necessary. If you had named your parents guardians of your children in case of your death, you may need to find other guardians. You may need to set up trusts for your parents as well as for your children. If your parent was your power of attorney, you may have to designate a different person to act on your behalf. In the unsettled time after a loved one’s death, imagine the added stress on the family if the loved one died without a will or any instructions on distributing his or her assets. Now, imagine the even greater stress to grieving survivors if they know a will exists but they cannot find it! It is not enough to prepare a will and other estate planning documents like trusts, health care directives and powers of attorney. To ensure that your family clearly understands your wishes after death, you must also take good care to preserve and protect all of your estate planning documents. Did you know that the original, signed version of your will is, in many jurisdictions, presumed to be the only valid version? If your original signed will cannot be found, the probate court may assume that you intended to revoke your will. If the probate court makes that decision, then your assets will be distributed as if you never had a will in the first place defeating your estate plan. You should keep your original will, power of attorney, and related documents in a safe place so that they may be located by your personal representative and agents if something happens to you. 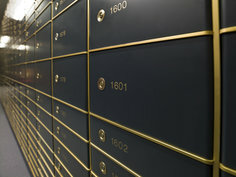 Many clients plan on keeping their estate planning documents at home in a safe or at a safety deposit box at their local bank. Storing your documents in a safe or safety deposit box, however, may prove difficult, and even impossible, for your heirs and personal representative to locate in the event of an emergency or your death. And if you leave clear detailed instructions to several people on how to find or access your documents in the safe, you may be creating a risk of privacy invasion. Also, if you keep your will in a safety deposit box, only the signers on the deposit box are authorized to access the documents you have locked away. In other words, your personal representative or family will not have access to your estate plan and other important documents unless you have listed them as a signer and key holder on the box. You can also have your lawyer deposit your will with the court for safekeeping. A quick search of the court docket online can reveal if you have a will on record. You may also be able to store your will and other documents online. Many large financial institutions have begun offering long-term digital storage of important documents. However, any electronic version of your original will is – by definition – a copy, not the original. So, you still must find a safe place to store the original, signed and witnessed will. Online storage “safes” may be an excellent back-up, but you must still find a secure place to store the paper originals. Copies of your health care related documents may also be deposited on a site like DocuBank.com for safekeeping and access in case of an emergency. 1. Greater Wealth. Larger estates tend to be more complicated because of estate and gift tax issues and the desire of clients to establish a plan that avoids or reduces taxes. 2. Greater Number and Types of Assets. Every asset adds complexity to planning and estate administration. A client who has one bank account that holds $5 million has a simpler situation than a client who has $5 million spread throughout multiple accounts, real estate, business interests, airplanes, stocks, bonds, IRAs, and gold coins. 3. Real Estate in Multiple States or Countries. Planning for a second home in another state or country, or a piece of the family farm in Iowa, increases estate plan complexity. 4. Blended Families. When the family includes “my” children, “your” children, and “our” children, the nature of the plan can become more complicated to assure that everyone receives the "right inheritance." 5. Unmarried Couples. State and federal laws provide certain benefits and protections to married couples when it comes to estate planning. These laws can be planned around when unmarried couples do their planning together, but such plans tend to be a little more complicated. 6. Non-US Citizen. Federal tax law may complicate planning when a client is married to a non-US citizen. 7. IRAs and 401(k)s. Large IRAs and 401(k)s are special assets because they are taxed deferred and subject to special regulations that can restrict client flexibility. 8. Other Types of Regulated Property. Certain types of property are highly regulated by state or federal law which can add complexity to an estate plan. Highly regulated property includes restricted stock in native corporations, native land allotments, fishing permits and individual fishing quotas, liquor licenses, timeshares, and US Savings Bonds. 9. Operating Businesses. Operating businesses should (but rarely do) have an effective succession plan in place in the event the owner or key manager passes away. This problem is magnified when the business is a professional practice requiring a special license. 10. Significant Philanthropic Planning. Many clients want to leave a large part of their estate to charity which seems simple. But structuring a charitable gift in the right way to the right charities can increase complexity and require special effort and focus on the part of the client. The IRS recently gave taxpayers certainty about one part of the estate and gift tax law. In October, an increase in the annual exclusion for gifts was announced. That amount will increase from $13,000 to $14,000 per recipient in 2014. The annual exclusion is the total amount you can give away to one person in a calendar year without triggering a requirement to file a gift tax return. Annual exclusion gifts may result in a lower estate tax, as gifts made prior to death are not part of the taxable estate at death. Married couples can join to make gifts of twice the exclusion amount per year, per recipient. A gift tax return will need to be filed for gifts above the annual exclusion amount, although these gifts may not be taxed. In 2012, tax won't be due until you've given $5.12 million (total) in gifts reported on gift tax returns. All bets are off, though, for 2013. Currently, the law for 2013 is that taxes will be due on all reportable gifts above $1 million. If you want to gift more than the annual exclusion amount to any recipient in one calendar year, it's a good idea to contact Foley & Foley first. We can give you ideas about how to reduce or eliminate the gift tax on those large gifts. Some people believe that the best way to protect wealth from the government is to bury gold in the garden and keep lots of cash in the mattress. A recent story reported by NBC News illustrates why this strategy might not be the best estate plan. When Walter Samasko, Jr., passed in May 2012 in Carson City, Nevada, he was not discovered until at least a month later. At 69 years of age, Mr. Samasko died from heart problems without a will or any immediate family. The city clerk's office undertook wrapping up the estate and selling the house under the assumption that Mr. Samasko had died broke with only $200 in his bank account. But when cleanup crews arrived at the home, they discovered boxes of gold, including gold coins, gold bullion, $20 gold pieces, Austrian ducats, South African Krugerrands, and English Sovereigns dated to the 1840's. The $7 million estimated value of the gold was based on the weight of the gold alone. The value could be much higher considering the rarity of some of the coins discovered. The gold had to be removed in two wheelbarrow loads. After investigating potential heirs, the city clerk determined that the closest next of kin was a first cousin, Arelene Magdanz, a substitute teacher who lives in San Rafael, California. When contacted by a lawyer regarding the estate and her newly found inheritance, she was shocked. Ms. Gagdanz had not seen her cousin in over a year. Mr. Samasko was described as being "anti-government, paranoid, and a reclusive hoarder.” Evidently, Mr. Samasko believed that he could avoid taxes and government intervention in his estate by holding everything in gold. But things didn't work out that way. The City of Carson City has undertaken to wind up Mr. Samasko's estate and the Internal Revenue Service will collect at least $750,000 in estate taxes from Mr. Samasko's estate. First, the next of kin have a legal obligation to report the transfer of wealth to the IRS if the entire estate is over the estate tax threshold amount ($5.12 million in 2012 and, if and when the current law expires, $1 million in 2013). Failure to report the transfer of wealth is considered tax evasion, a serious federal criminal offense. Second, next of kin who are willing to be dishonest with the IRS are likely to be dishonest with other family members, too. In such cases, the first family member to find the gold and cash simply carts it away and doesn't report it to other family members who were intended to share the inheritance. Gold has recently been a very good investment. But when raw gold is held in an estate, the transfer of the gold should be properly handled. There are legitimate ways to avoid estate taxes with these assets. Hoarding and hiding is not the best plan. Sonny Bono: He left his third wife to manage claims from Cher and an alleged love child in an estate worth an estimated $1.7 million, including the right to exercise Sonny's music rights. He did not set up a will or a trust before his untimely death in a skiing accident. Howard Hughes: This famous businessman, aviator, and philanthropist died intestate after a handwritten will found on a church official's desk was deemed forged. One of the richest people in the world, his $2.5 billion estate was split among 22 cousins after thirty-four years of litigation. James Brown: James Brown tried to leave his $100 million to a special trust to benefit poor and needy children. He did not discuss his wishes with his family, however, and failed to update his will while he was married to his fourth wife. These mistakes left his money in limbo and ultimately only benefited legal teams. To read the article in its entirety, see Jim Moniz, "Lessons of the Rich and Famous," WealthManagement.com, Nov. 21, 2012. The current estate tax law is scheduled to expire on December 31, 2012, together with other "Bush Tax Cuts" affecting overall tax rates, capital gains taxes and taxation of trusts. If Congress does not act by December 31, 2012 or pass a retroactive tax law change, the current $5.12 million estate tax exemption will expire and the law will revert to the 2001 exemption, adjusted for inflation, of $1.3 million. Because of the risk that the larger exemption might expire and not be renewed retroactively, some wealthier Americans are choosing to take advantage of the $5.12 million exemption by making larger gifts in 2012 to family members or to trusts for themselves or their family. Contact us if you want to discuss your situation and how you might take advantage of the current law before it expires. Where's the Combination to the Safe? You may have imagined family members asking this question in the event of your death. It's a simple matter to let them know where you keep that combination. One of the challenges of life in the “electronic age” is keeping track of login information and passwords. As we all know, the more random, complex and short-lived we make passwords, the more secure our information is. This information should be changing constantly. Tracking your own passwords and login information is complicated. Trying to puzzle through someone else's password and login information is at best, challenging and at worst, it's impossible. A few months ago an Anchorage man passed away unexpectedly. His sister, dealing with the shock of his death, traveled to Anchorage to settle his affairs. In life, this family had been separated by many miles and in death, unknown passwords meant the man's most important information was inaccessible to his sister. Tasked with settling the man's affairs, his sister had no idea what his passwords were – this man literally took secrets to the grave. The result is that nothing has been easy; some information will never be uncovered. According to the Pew Internet & American Life Project, 36% of adults over age 45 now do their banking online. Without access to your digital assets, even figuring out what automatic payments are made each month and cancelling your subscriptions can be a challenge. 1. The Old Fashioned Way: Write them down. Keep a list of passwords and login information in a safe place. Tell at least two other people where it is and update the list EVERY time something changes. With help from some of our clients, we have developed a simple form that's a starting point for a list of password and login information. Give our office a call and we'll email it to you. 2. The "Simple" Technology Way: Put them into a document on your computer. Make a list of passwords and login names; if you want, you can password protect the list. Tell at least two other people the name of the document, its location and the password. Update the document EVERY time something changes. If you email a copy of the document to someone, password protecting it is a must; however, do not make the mistake of sending the document and the password in the same email. 3. Use a Password Tracking Program. There are dozens out there. Lastpass and RoboForm are two our clients have mentioned. Pick one that works on your computer and any portable devices you use. Set it up and use it religiously. Tell at least two other people what service you use and how to log into the service. Again, do not give them all of that information by email at the same time. 4. Use a Service That Releases Information in the Event of Your Death. These services require proof of your death. An example is Legacy Locker (http://legacylocker.com/). Another service, Deathswitch (http://www.deathswitch.com), will send an email to you at the frequency you have selected. If you don't respond after repeated requests, the service will send information you prepared to loved ones or friends of your choice. If you use a service like this, make sure your information will also be available to those chosen confidants in the event of your disability. There are lots of other ways to keep this information safe for others. What's important is that you leave a trail for your loved ones to follow. Let us know what works for you! Drop us a line or send an email, and we'll publish some of your ideas in a future newsletter. One of the most common comments we hear from clients is, "Why does it have to be so complicated? My estate is simple." The prevailing presumption is that it is the nature of lawyers to make things more complicated than necessary and in many instances, the clients are probably right. Education. We spend a great deal of time counseling and educating clients through our workshops and in our personal client conferences. When clients have a basic understanding of the law and the issues that will be faced by heirs upon the death of a loved one, the estate planning process doesn't seem quite so complicated. A Step by Step Process. Foley & Foley follows a simple process for assisting clients as they implement their estate plan. The process is thorough, systematic and understandable, which means that details do not fall between the cracks. Every client goes through the same five steps: 1) Intake appointment, 2) design appointment, 3) delivery appointment, 4) funding appointment, and 5) updating and maintenance. Internal Systems. Foley & Foley has implemented internal systems and procedures that ensure that the plans and legal solutions are quickly and reasonably implemented. These systems also ensure that every member of the estate planning team, from the receptionist to legal assistant, paralegal and lawyer, remains in the loop and understands the current status of each plan. Communicate efficiently and effectively with our clients as well as other lawyers and advisors. Efficiently create and edit sophisticated legal documents. Organize, archive and retrieve physical and electronic documents. Research and educate ourselves and our clients about changes in the law. Maintain, update and respond to changes in our clients' situations. Simple Legal Solutions. The attorneys and staff are constantly looking for the simplest and most effective legal solutions to the particular problems faced by our clients. Because we have worked with hundreds of estate planning clients, we have the experience necessary to suggest ways to keep things simple. Fixed Fees. We try to utilize fixed fees whenever possible to reduce the stress of not knowing what the plan is going to cost. When fees are fixed and not hourly, everyone, including the lawyers, have incentive to keep it simple. A recent article in the Wall Street Journal by Laura Sanders (link below) explored the many ways in which you can provide for your loved ones and still ensure that the assets you have left are used in a productive manner after your gone. In fact, there is a great deal of leeway for individuals who wish to provide conditions on the distribution and release of not only the inheritance that they leave behind, but also gifts they may wish to make now. As Ms. Sanders explains in her article, what you give away and how is especially relevant because of the unusual, and likely short-lived, current estate and gift tax exemptions which allow a taxpayer to transfer up to $5.12 million tax-free, either at death or through lifetime gifts. Because the current exemptions are set to expire in January 2013, you should consider making gifts before the end of the year. While making gifts now means giving up control of a portion of your assets, you can structure the terms of your estate plan to restrict distributions until the achievement of a certain goal or landmark event. You can also use your assets as future incentives to encourage your children or grandchildren to complete higher education or become entrepreneurs. When designing your estate plan, you may also want to include a popular provision provided in many states, including Alaska, prohibiting your beneficiaries from contesting the validity of your estate plan or else risk losing their inheritance. To read the article in its entirety, see Laura Sanders, How to Control Your Heirs From the Grave, Wall Street Journal, Aug. 10, 2012. What is a "Living Probate?" What are the Duties of a Fiduciary? Where is your Red Book Stored? What is Portability? And What Does It Mean to You? How Does the New Estate and Gift Tax Law Affect Your Planning?